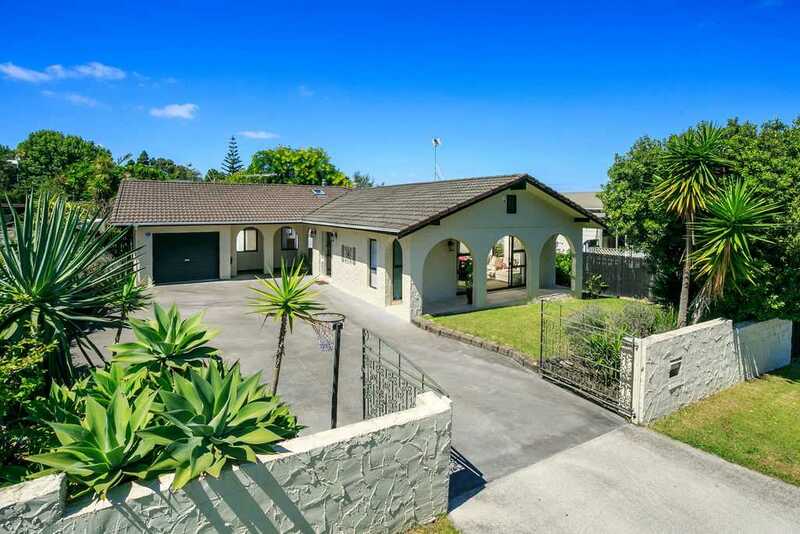 This gorgeous Mediterranean style, single level, concrete block home is nestled in an idyllic cul de sac setting on flat fully fenced, freehold land of 683sqm. The large open plan modern kitchen, dining area and sun filled family room are the heart of the home. There is an effortless flow out to the good sized entertainment area and the shade of the lush palm trees to watch the children play in the pool. There is additional space provided by the generous sized separate living room for the family to entertain or unwind and an office to work/study from home. The bedrooms are of good size and the master enjoys a beautiful garden outlook with ensuite bathroom. Ample storage, garage, 4 off street parking and an extra space for the boat! Ideal for families, zoned for great schools and with a short walk to Glamorgan School, Glamorgan Kindergarten, public transport and local shops, and walking distance to Long Bay College. When a home provides this much, they don't become available often - the owners have found their next place to call home so this one should be at the top of your list!